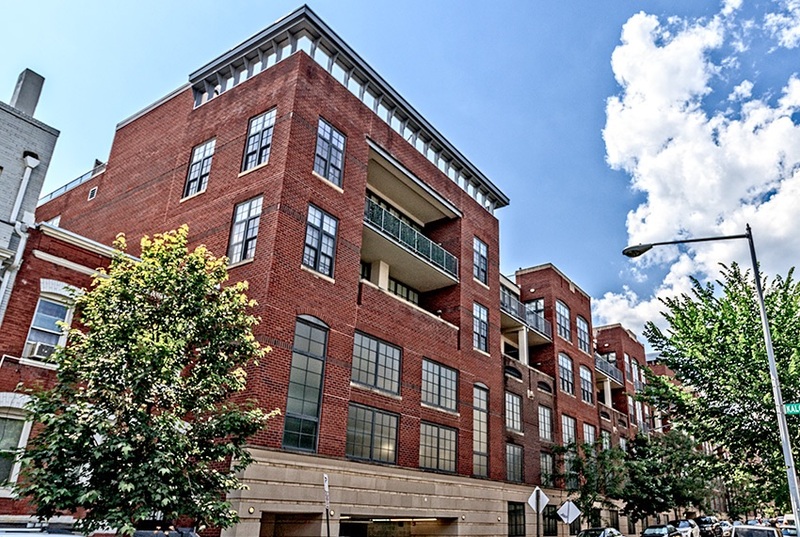 When it comes to luxury condos for sale in Washington, DC, The Lofts at Adams Morgan definitely stand out. One of a number of intriguing condominium developments embracing a retro-warehouse design, this project sprang up where a parking lot once stood. Developer PN Hoffman used a brick factory concept as the starting point, adding twin towers joined by a distinctive glass and steel bridge that also serves as a residents’ lounge. Industrial chic fancy! 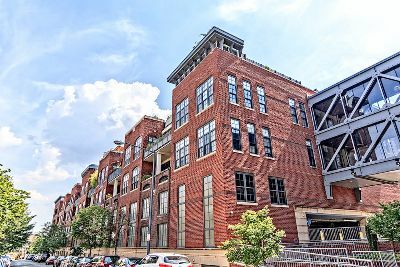 The Lofts at Adams Morgan offer soaring ceilings, grand factory-style windows arranged in huge banks, and dramatic interior floating stairs leading up to second-floor loft bedrooms and sitting rooms. There are exposed structural elements, including raw brick, concrete ceilings and ductwork, along with eco-friendly bamboo floors and gas fireplaces. And, the modern chef’s kitchens are completely open to airy living space. Other features include balconies, glass brick walls, lavish bathrooms, and in the case of penthouse units, factory style catwalks and giant private rooftop decks offering some of the most commanding city views in the District. There are also 300 underground parking spaces, plus a huge enclosed courtyard, community rooms, a front desk and a common roof deck that is apart from those that accompany the penthouses. But as amazing as these modern condos for sale are, the location itself is also a major selling point. This is prime Adams Morgan real estate—just three blocks from the amazing Meridian Hill Park with its unique structure landscaping and celebrated Drum Circle, and less than a block east of 18th Street. That of course means a wealth of bars and restaurants, like the Jack Rose Dining Saloon, Smoke & Barrel, Little Fountain Café, Bourbon, and so many more. Considering a move to the neighborhood? Search other Adams Morgan condos for sale, or call District Partners real Estate at (202) 798-3600 for assistance with your Washington DC home search!